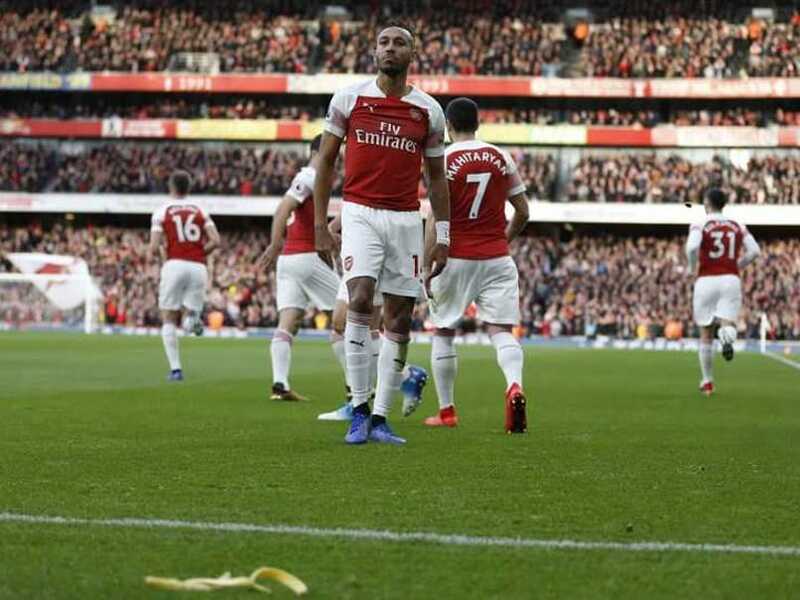 A football fan has been arrested after a banana skin was thrown onto the pitch at the Emirates Stadium as Arsenal forward Pierre-Emerick Aubameyang celebrated scoring a penalty in front of Tottenham Hotspur fans. 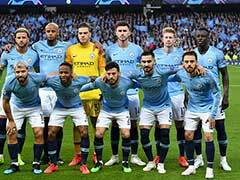 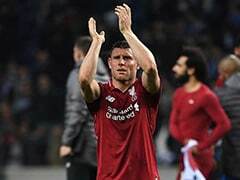 The Gunners won a memorable Premier League match 4-2 on Sunday and London's Metropolitan Police afterwards confirmed there were seven arrests made. 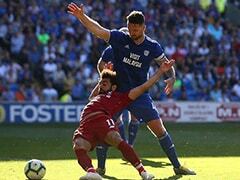 Britiain's Press Association said it understands that one of those arrests came after a banana skin was hurled from the away end as Aubameyang celebrated scoring in front of the Tottenham fans.